A native New Yorker with deep Irish roots, Tara O'Grady was first known for swinging arrangements of songs like "Danny Boy." Over the years her musical palette has expanded, and on her new album, Folk Songs: Songs About Real Folks, there are echoes of folk, gospel, rockabilly, swamp pop, and Celtic-accented swing. The real people in the songs range from the Danish woman, the subject of "Evening Temptations," who was also the "Waltzing Matilda" of Tom Waits's song, "Tom Traubert's Blues," to O'Grady's mother, whose devastation over Elvis Presley's death is chronicled in "Jumpsuit of Jewels." O'Grady's playful habit of nicknaming her musicians led to the tune, "Vinny McElhinney with the Ravioli Eyes." Conveniently, Vinny Raniolo, the inspiration for the song, was in the studio to play guitar, along with Steve Kortyka on saxophone and flute and David Shaich on bass. 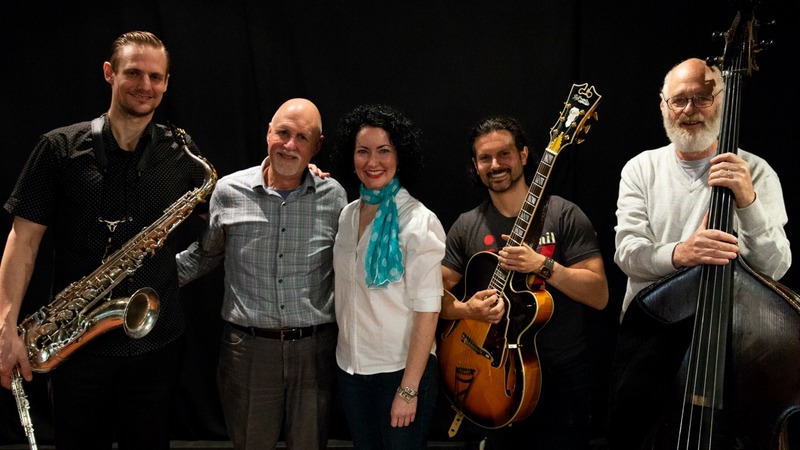 With O'Grady's velvet-jazz vocals and vivacious personality out front, the session was an entertaining preview of her concert coming on May 18 at the New York Irish Center.